Following a pattern we have seen repeatedly, anti-vaccine activists have tried to claim a conspiracy to hide a link between vaccines and autism. The latest effort, reviving the Hannah Poling case, follows the pattern we have seen in previous cases – anti-vaccine activists claim that the government knew of evidence that vaccines cause autism (in this case, through mitochondrial disorders), that the government committed fraud to hide that information, and that the combination of fraud and evidence should be a game changer. As with those past events, the claims cannot withstand scrutiny. In this case, another claim was added – a denial of due process for claimants in the Omnibus Autism Proceedings generally and in one family’s case specifically. This claim, too, does not hold. In contrast to the claims in the latest set of anti-vaccine articles, there was no fraud by the government, the behavior they complain about did not decide the fate of the Omnibus Autism Proceedings, they provide no new evidence that vaccines cause autism, the mitochondrial claim is neither new nor strong, and there was no denial of due process to the claimants in the Omnibus Autism Proceeding or in the specific case in question. Central to the background of the claims are the Omnibus Autism Proceedings and the Hannah Poling case, so a short background about them is needed. Because there is much else to address, I will keep it short and include references to more detailed sources. During 1998-2000, when claims that vaccines caused autism were prevalent, nearly 5,000 petitions arguing that vaccines caused autism were filed with the Vaccine Court. To handle this large number of claims, the Office of Special Masters (OSM) conducted a number of informal meetings in 2002, including both attorneys who represented many of the autism petitioners, and counsel for the Secretary of Health and Human Services, who is the respondent in each of these cases. a special procedure by which the OSM could most efficiently process the autism claims. They proposed that the OSM utilize a two-step procedure: first, conduct an inquiry into the general causation issue involved in these cases – i.e., whether the vaccinations in question can cause autism and/or similar disorders, and if so in what circumstances – and then, second, apply the evidence obtained in that general inquiry to the individual cases. They proposed that a team of petitioners’ lawyers be selected to represent the interests of the autism petitioners during the course of the general causation inquiry. They also proposed that the proceedings begin with a lengthy period of discovery concerning the general causation issue, followed by a designation of experts for each side, an evidentiary hearing, and finally a ruling on the general causation issue by a special master. Then, the evidence concerning the general causation issue, obtained as a result of the general proceeding, would be applied to the individual cases. As a result of the meetings discussed above, the OSM adopted a procedure generally following the format proposed by the petitioners’ counsel. The procedures lasted for many years, to a large extent to accommodate petitioners’ – claimants’ – requests for time for a thorough investigation (pdf). To make a claim in vaccine court, petitioners need to state and support a theory of causation – a theory on how vaccines caused the harm. They don’t need to provide the level of scientific evidence they would in a regular court, but they do need to suggest a mechanism and convince the court that it’s plausible. The autism cases raised two theories of causation, two theories that then dominated the views of those believing in a link, and still have very strong prevalence among anti-vaccine activists. The first was that the MMR vaccine caused autism. The second that thimerosal-containing vaccines caused autism. The petitioners also argued that the combination of these – MMR and thimerosal-containing vaccines – could together cause autism. The petitioners chose not to present the first theory—that the MMR vaccine alone causes autism – as the evidence was largely presented in the hearings for the combination theory. This last theory – the combination – was the first claim to be examined. Initially, only one special master was to hear one case. Later, the Chief Special Master ordered that two other special masters were to hear two other cases, which included Yates Hazlehurst’s case. With the express agreement of petitioners, the three special masters attended hearings that involved general causation, but each was in charge of one case independently than the others. Also with agreement from the petitioners, the causation evidence from each case was to be used in all three. To be clear, parties to a civil trial can also agree to use findings and materials from another case in deciding their case. In November 2007, while these first three cases were pending, but before discussions of the thimerosal cases started, the Department of Health and Human Services conceded a case of a child later discovered to be Hannah Poling. “Conceded” means the government acknowledged that the legal basis for compensation was met, in this case, based on existing, non-autism specific criteria. Hannah Poling, who apparently was considered as a test case by petitioners, was then out of the running as a test case. In February 2008, this concession – with no name – was made public by journalist David Kirby. One of the doctors named in the document was Andrew Zimmerman. In March 2008, the Polings went public with the name of their child and participated in press conferences. In February 2009, the three Special Masters hearing the three MMR-thimerosal combination test cases announced their decisions. In lengthy, careful decisions they rejected both the general causation claims and the individual claims. Two of the decisions, including the Hazlehurst case, were appealed to the court of federal claims and then the Circuit Courts, and both appeals were rejected. While the Omnibus Autism Proceedings were taking place, the Hazlehurst also filed malpractice suits against the doctors who vaccinated Yates. The deposition shared by anti-vaccine activists suggests the case was filed in 2004 (pdf). It appears, however, to have been put on hold until the Vaccine Court proceeding was complete and after, because the deposition is dated December 2016. The new claims center on these long-past events. Because that article elaborates on the claims related to the Zimmerman and Kelley depositions, I drew on it as well. However, the article has a number of other claims that have been discussed before and are not relevant to the current new theory. I would love to discuss them, but this is already a monster post. So if anyone wants to ask about those in the comments, I can link to the posts of the many smart people who already addressed these other issues. Department of Justice lawyers conceded the Poling case in order to deprive claimants claiming before vaccine court that vaccines cause autism of their best case, and seal the evidence. Department of Justice lawyers misled Vaccine Court by presenting a report from Dr. Andrew Zimmerman in which he stated MMR and thimerosal-containing vaccines do not cause autism, even though Dr. Zimmerman has told them – because of his opinion in the Poling case – that there are exceptions in which vaccines may cause autism. The government relied on fraudulent studies – I do not have space to address this here without making this even longer, but none of the studies were fraudulent (Verstraeten, DeStefano, Madsen ), and they were mentioned at most 1-2 times in the Hazlehurst decision, among many other studies. Dr. Zimmerman’s report was why Vaccine Court denied compensation to Yates Hazelhurst, and to the other over 5,000 claimants. Vaccines cause autism in children with mitochondrial disorders, and those are common among children with autism. It was a denial of due process to have the omnibus autism proceeding. It was a denial of due process to allow causation evidence from one test case in the Omnibus Autism Proceeding to be used in other cases. It was a denial of due process to use Dr. Zimmerman’s report without cross-examination. The alleged fraud in the Omnibus Autism Proceeding was the reason the Supreme Court in Breuesewitz v. Wyeth limited the ability to sue for design defects in state courts. None of these claims survive close examination. 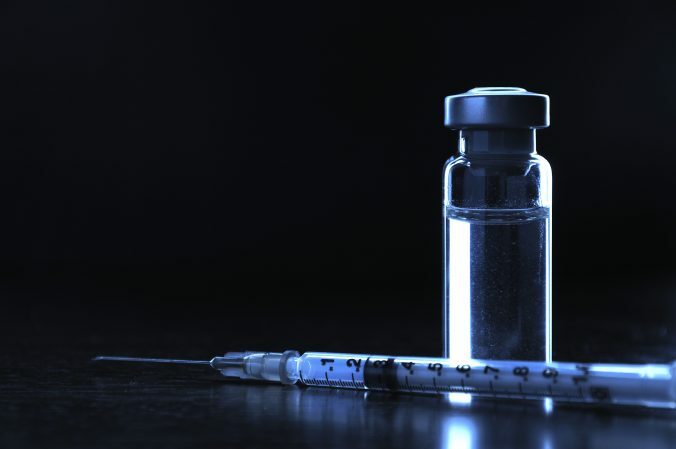 There is no scientific basis for a connection between measles, mumps and rubella (MMR) vaccine or mercury (Hg) intoxication and autism. Despite well-intentioned and thoughtful hypotheses and widespread beliefs about apparent connections with autism and regression, there is no sound evidence to support a causative relationship with exposure to both, or either, MMR and/or Hg. Michelle Cedillo had a thorough and normal immunology evaluation by Dr. Sudhir Gupta, showing no signs of immunodeficiency that would have precluded her from receiving or responding normally to MMR vaccine. According to the deposition and the anti-vaccine articles, at some point after writing the report and before the hearings, Dr. Zimmerman’s involvement in the Hannah Poling case made him conclude that there are exceptions to the general rule in cases like Hannah’s. He made that known to the government lawyers. The government lawyers did not call Dr. Zimmerman but left his report submitted. The articles suggest that this was fraud, and changed the resolution of the cases. Neither is correct. Dr. Zimmerman actually has not appeared here, but he has given evidence on this issue, and it appeared in the Cedillo case. I just wanted to read briefly because his name was mentioned several times by petitioners in this matter. What his views were on these theories…. Q: In your opinion has any suggested connection between thimerosal and autism been conclusively disproven? A: In my mind thimerosal does not cause autism, no. Q: Okay. So you think the theory has been debunked? On p. 44, following it, he says of Andrew Wakefield’s claims about MMR that “I am not sure I would characterize it as research”, and agrees his data was fraudulent. While Zimmerman did not explicitly say he does not think MMR causes autism, he did not say the opposite very clearly, either, he acknowledged the studies finding no link with MMR (p. 24), and he clearly rejects Wakefield’s initial work on it. In other words, in relation to the theories at hand, the statement quoted seems in line with Dr. Zimmerman’s opinions. Was it appropriate to use Zimmerman’s report? It’s tricky – on one hand, the government is not required, or expected, to bring in new theories. The report addressed the theories in question, did not misrepresent the expert’s views on those theories. I have also seen nothing to suggest the petitioners could not have called Zimmerman in for cross-examination if they wanted to. So it was not outrageous or fraudulent to use the report on this point. There is no rule, to my knowledge, that requires a lawyer to submit to a court every opinion an expert has on issues outside the issues before the court. On the other hand, if the government was concerned enough by Zimmerman’s qualms to not call him as an expert witness, and while I do not know if that’s their reasoning, it’s plausible, it may have been better not to use his report at all. It’s not fraud to use a report that reflected his views about the theories addressed to argue against those theories, even if he is entertaining another theory, but it’s also not completely transparent. It might also backfire, if the other side subpoenas him, which they could. The government lawyers were acting as lawyers, and their duty was to represent their side, not serve to muddy the waters; but as government lawyers, they also, in my opinion, need to meet a high standard of fair dealing, and I am not sure using Zimmerman’s report met it. I’m uncomfortable with it. I would have been happier had they not used the report. It is also important to note that Zimmerman was not the only report handled this way. There were four expert reports of people who did not testify submitted in Cedillo. Zimmerman was not outstanding in that respect. It is impossible to see this as anything but intentional misrepresentation. The Hazlehurst decision runs to 203 single-spaced pages (pdf). Respondent filed expert reports from four additional witnesses who did not testify during hearings. As a pediatric neurologist with a particular research interest in autism and with considerable clinical experience with autistic children, Dr. Zimmerman opined that ‘there is no scientific basis for a connection’ between the MMR vaccination, mercury intoxication, and autism. Cedillo Ex. FF at 2, 4 (Dr. Zimmerman’s report). The undersigned has reviewed and considered the filed reports from these experts and finds that the opinions of the experts lend support to the conclusions reached in this decision. In reaching the conclusions set forth in this decision, however, the undersigned relies more heavily on the testimony and reports of the experts who were observed and heard during the hearings. Describing a mention in a footnote which stated clearly that the four reports were less relied on than the experts who testified, and just lend support to the decision, as “relied heavily” is incorrect and misleading. Zimmerman’s report was, literally, a footnote in a heavily sourced decision that drew on many experts and abundant medical literature. RFK Jr. could not have missed that when quoting the footnote. So the petitioners brought in a statement by Zimmerman in their favor, which was not given much weight. Another pediatric neurologist with extensive experience with autism, Dr. Andrew Zimmerman, also filed an expert report for respondent. (Ex. FF.) Dr. Zimmerman stated the opinion that the evidence does not support the proposition that the MMR vaccine can cause autism. (Ex. FF, p. 4.) Thus, Dr. Zimmerman’s report certainly supports the result that I have reached in this case. However, because he did not testify at the evidentiary hearing, his opinion has been far less important than that of the respondent’s experts who did testify, in leading to my conclusion. Again, Zimmerman’s report was clearly very far from central to the decision. In other words, this part of the conspiracy is built on something that was not fraud, and more importantly, marginal to the decision of the Omnibus Autism Proceeding. The Omnibus Autism Proceedings rejected the claims that MMR causes autism and thimerosal-containing vaccines cause autism because there was abundant evidence against them and the petitioners failed to support them. The Hannah Poling case has been discussed in detail elsewhere (see here, here, here, here, and here), and I will not address the full discussion here. It is not appropriate to use it as a case that shows vaccines cause autism. It’s an unusual case often misused. First, Dr. Zimmerman was not an expert nor was he asked to be an expert on Hannah Poling’s case. The government conceded her case before ANY opinion was rendered or given. When the government denied the seizures as part of her vaccine injury, we asked Dr. Zimmerman to opine on that issue. The vaccine injury had ALREADY been conceded. In addition, and I say this only because it is now public record, the government conceded a table injury. This essentially means that they did not have to determine whether or not the vaccines caused Hannah’s injury but that her case fit into the table. (The fact that the Poling concession was a table injury, by the way, is repeated in several court decisions that refer to it. For example: see this on p. 20). Second, the Poling concession was not based on the theories in the Omnibus Autism Proceedings. The claims in the case were different enough from the claims being tested that it was completely justified to address it separately – and the case was not the usual “vaccines cause autism” case. To remind people, the Omnibus Autism Proceeding was based on specific claims by the petitioners on how vaccines caused autism – theories they firmly believed, and likely still do, and thought they could prove. The fact that the claims fail does not mean that taking out a case based on other theories, in 2007, was in any way inappropriate. It’s natural for those who believe vaccines cause autism to be upset that their best case, as put forward, failed – but the complaint here is, in essence, that it’s unfair that the government removed a case that was different from what they were claiming from the docket. Third, while the case was not supposed to be published, it was made public by leaking the document to David Kirby – a leak that was likely from the Poling’s lawyers or themselves – in February 2008. This was a year before the decision. The petitioners and everyone else knew about the case then. Dr. Zimmerman was quoted then. If it was such a game changer, there could be a request to reopen or add evidence then. Petitioners did not appear to do so – a document covering development since the hearings, dated April 2008, did not mention any request related to the Poling case. This is in spite of the fact that more reports and medical literature was filed during those months. Petitioners aside from the test cases, by the way, could continue and claim mitochondrial problems, and some did – see below. Basically, the Poling concession, including the Zimmerman report, was known before the Omnibus Autism Proceedings was decided. It did not appear to be considered a game changer for the cases at the time. It is likely raised this way now because the cases lost. RFK Jr’s request suggests that “vaccines cause autism in a subset of children” who have mitochondrial disorders. Handley goes further and suggests that this is a game changer. He relies on the testimony of two medical experts, Dr. Zimmerman and Dr. Kelley, in the case filed by the Hazlehurst family against their son’s, Yates’, doctors. As mentioned, the case was filed in 2004 and appeared to have been revived over ten years later, given that Dr. Zimmerman’s testimony is from 2016. I will say a bit more about the case below, but both Drs. Zimmerman and Kelley appeared to have said that they think Yates had a mitochondrial disorder, and that the vaccines he got, because of this disorder, caused him to regress. This is not a new claim. And in spite of Drs. Zimmerman and Kelley’s opinions, the claim is not supported by data. Neither doctor, in his deposition, pointed to data showing causation. In his 2008 paper, Kelley pointed out that the relationship to a vaccine is not clearly causative, and it may be just a coincidence of timing (in that case one out of 25 children regressed after vaccines), even though he hypothesized that there may be a relationship. Zimmerman in his deposition openly acknowledged that there is no real epidemiological data supporting the view, although he thought there was work in progress (pp. 16, 53-54). Basically, both scientists base their claims on seeing cases of children regress after vaccines – though they acknowledge it’s rare – and a theory of how it could work. In a civil court, that would be problematic – they actually would have to show general causation with scientific evidence, but they don’t have such evidence. In vaccine court, a theory would be enough – if proven plausible. But it wasn’t. The NVICP has directly confronted the question of mitochondrial disorders and rejected the claim as unsupported by evidence. The court consistently pointed out the lack of support for it. In fact, in at least one case the court rejected Dr. Richard Kelley’s method of diagnosing metabolic disorders along with his claim about a link between vaccines and autism. In other words, this is not a new set of claims. It has been examined in the past. It’s not supported. It is important to note that even the two scientists who testified in support of the belief that mitochondrial disorders cause autism support vaccines. In his 2013 online article on this Dr. Richard Kelley made it clear that while he believed in a link, the risks of diseases are still higher than the risks of vaccines for individuals with these mitochondrial diseases. Zimmerman made the same point clear in his deposition. Q: Do vaccines cause or worsen mitochondrial diseases? A: As of now, there are no scientific studies that say vaccines cause or worsen mitochondrial diseases. We do know that certain illnesses that can be prevented by vaccines, such as the flu, can trigger the regression that is related to a mitochondrial disease. More research is needed to determine if there are rare cases where underlying mitochondrial disorders are triggered by anything related to vaccines. However, we know that for most children, vaccines are a safe and important way to prevent them from getting life-threatening diseases. For children with mitochondrial disease, preventable diseases are very, very dangerous. Vaccines help these children by reducing diseases. Kelley himself pointed out the risk to children with mitochondrial disorders from diseases. If fever or inflammation is a major cause of triggering regression in these children, vaccines cause a lot less fever than diseases and require much less response from our systems generally. MMR causes high fever in 5-15% of children. On the other hand, measles is accompanied by a high fever in routine, uncomplicated cases. While our schedule has had vaccines added, changes in technology make these vaccines less aggressive – for example, DTP was much more likely to cause fever than DTaP – DTP causes high rates of fever. It occurs with DTaP in 3-5% of cases. This theory should suggest declining rates with vaccines. In addition, Kelley identified MMR as one of the culprits, both in his 2013 article and in his testimony in Madriaga. If MMR was a culprit implicated in this causation theory, we have studies in millions comparing children who got MMR to children who did not – and found no higher rates of autism (pdf). One of the jarring things is that this theory is used by the anti-vaccine activists to increase fear of vaccines and increase the risk of diseases outbreaks, directly putting the children they are using – children with mitochondrial diseases, like Hannah Poling – at high risk of dangerous diseases. Finally, Handley suggested in his article that vaccines can cause a mitochondrial disorder. But he provided no evidence. Not even a serious basis to think so. Kelley’s article suggested a genetic basis. Handley may want to claim vaccines cause autism, but there is no real basis for that. The Hazlehurst clearly strongly feel they have been treated unfairly. But they have been heard in detail in the Omnibus Autism Proceeding and their current case faces serious obstacles. I have not seen the claim since it was sealed (which is somewhat in tension with Handley’s claim that this case would make any information public). An alleged adverse reaction at six months which should have prevented vaccinating him further. Dr. Zimmerman’s deposition on pp. 12-14 raises real doubt about whether there was such a reaction, and it was not mentioned in the Omnibus Autism Proceeding. Plaintiffs would have to show such a reaction, which is not, apparently, reflected in the medical records, and then provide testimony that a physician in good standing would not vaccinate because of it. That’s likely going to be very difficult to achieve. Lack of informed consent – it’s unclear what that claim is. If the claim is “in 2001, you did not warn us vaccines can cause autism in children with mitochondrial defects”, well, since the theory was not raised anywhere, apparently, until 2007, and it’s never been broadly accepted, that would be a hard sell. Then the family would have to show causation. There are going to be problems there, too, based on the above; and because Dr. Zimmerman, if he was to be a witness, did not diagnose Yates with a mitochondrial disorder in 2001, and Yates had no fever after his vaccines (something that was raised in one of the few studies on point, Shoffner’s). The Hazlehurst’s pain may be real, and their financial need as parents to a special needs child too. Even more so if, like other autism families, they were misled into paying for expensive and non-science-based biomedical treatments – but their case has been heard several times, and appears, at best, incredibly problematic on its face. Our constitution requires the government – including federal agencies– to provide people deprived of life, liberty and property with due process. In this case, the question is: Did the petitioners get procedures that provided them with a fair hearing and a neutral decision maker? (That’s a simplification, but it’s accurate enough). A procedural due process does not always require full discovery and does not require a jury trial. The Seventh Amendment requires a jury trial in some circumstances, but not here. Nor does due process require that the federal rules of evidence apply to all adjudicatory proceedings. It does require procedures that allow for fair hearings. But the Omnibus Autism proceedings fill those requirements. Petitioners were represented by lawyers; they had years of hearings and extensive opportunity to file evidence, rebut evidence, cross-examines the testifying experts, etc. They did cross-examine Zimmerman – but even if they did not have an opportunity to subpoena him, and I have seen nothing to indicate that they did, no request to have him come in to be cross-examined – his role in the proceeding was extremely small, and the decision barely drew on him. Nor have I seen evidence that petitioners objected to submitting his report. Lawyers for the petitioners agreed to have the causation evidence apply across the hearings – and it worked in their favor as well, providing each case with all the experts from the other cases. Petitioners can certainly allow hearsay evidence in if they choose. There just does not seem to be a serious due process issue here. The last claim – that not using Dr. Zimmerman or the alleged fraud in studies caused the decision in Breuesewitz v. Wyeth – can be rapidly dealt with. Breueswitz was mostly decided on statutory interpretation grounds, on how the court understood the statute – and on policy ground, the desirability of maintaining a vaccine supply in order to protect children. While the decision did draw on the evidence that vaccines are extremely safe, it was not only drawing exclusively on the Omnibus Autism Proceedings, which themselves were not strongly influenced, as explained above, by Dr. Zimmerman. The claims by RFK Jr. and Handley draw on something that was not, in fact, a fraud, that is misrepresented as having a dramatic impact on the Omnibus Autism Proceedings when it had little to no effect. The depositions they draw on do not provide new data showing vaccines cause autism, and draw on theories that have existed for over ten years and have little evidence or power behind them. Petitioners were given due process during the Omnibus Autism Proceedings; they and their supporters are naturally frustrated at their loss, but attempts to blame it on foul dealings are unpersuasive.